LOCATION: 6th Street & N. Central Ave.
Delta Wires perform at NOON. Our 4th Annual Blues, Brews & BBQ will take place on Saturday, October 25, 2018 from 12:00pm-6:00pm. 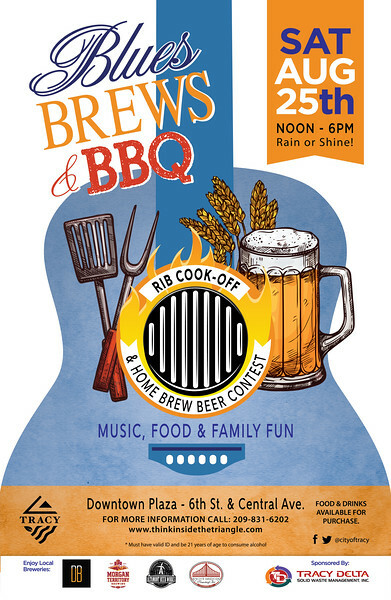 The festivities will kick off at our beautiful Downtown Plaza (6th St. & Central Ave.) This event will host its very own Homebrew Beer Contest, Rib Cook-off as well as the best blues music throughout the entire day.. Food and drinks will be available for purchase.